Congrats on the 17 miler! I certainly enjoyed the great weather this weekend. Good luck with your next race! The weather in Iowa has been spectacular! We had 70-degree temps both days this weekend! Congrats on the 17 miler. The loop looks beautiful! It is amazing how one week you question everything and the next it all feels amazing. Congrats on getting over the hump. Happy running this week! It was so good to see you! And I'm so glad you enjoyed the group run!! You are so incredibly dedicated!! It's very inspiring! Congrats on having a successful week! Glad you made it again! And that 17 went well. :) I'm excited for Spring Thaw, I haven't had a longer race in quite some time. Last spring maybe at Pittsburgh? 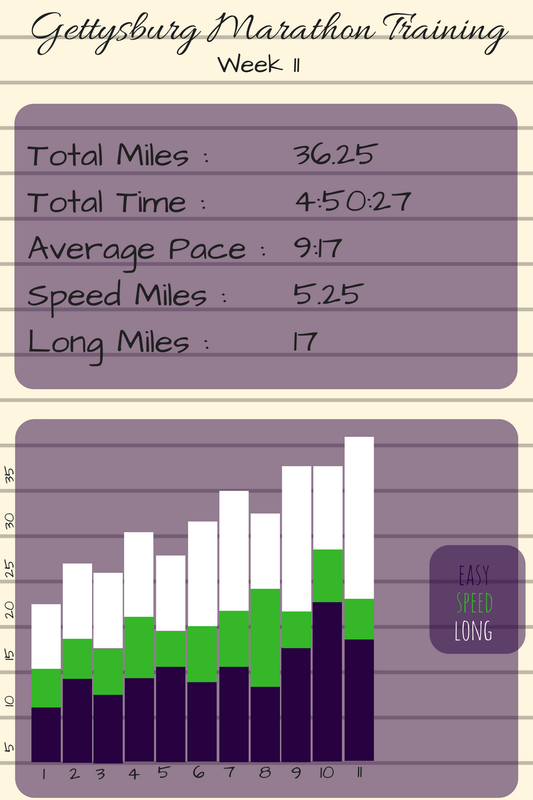 So I'm excited to see how my pacing goes, and how my legs feel! 36 miles!!! AMAZING! And a 17 miler to boot! Woohoo! I hate being overdressed but I hate being cold even more. Overdressed feels gross but cold just plain hurts. I'm glad you forced yourself to go out on Thursday, It always works out that those are the best runs! Great job on your long run! We did get some amazing weather this past weekend. It just makes me want Spring to be here to stay though. Amazing week of training and awesome job on the 17 miler, wowsers! Good luck for the race this week! Your single galentines Day still sounded perfect! Sushi, wine and TV? I hope you had some chocolate too because then that would be the ideal night! Great work on your long run and good luck in your upcoming race! It always feels good when you hit those paces! Great job on your workouts this past week, especially the 17 miler! It's so funny how running is like that with ups and downs. Those phenomenal runs when everything clicks and you feel like you're flying make the struggles so worth it! I actually saw you on the group run, heading toward Smithfield St Bridge when I was driving home. You were with a big group and smiling and looked like you were having a blast. Awesome long run & week overall!